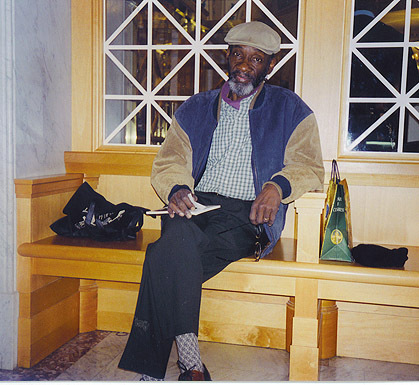 Ahmos Zu-Bolton II (October 21, 1948 – March 8, 2005) was an activist, poet, playwright, and teacher. He edited the literary journal Hoo-Doo, and co-edited Synergy D.C. Anthology with E. Ethelbert Miller. He is the author of three books of poems: a niggered amen (1975), Ain’t No Spring Chicken (1998), and 1946 (2002).